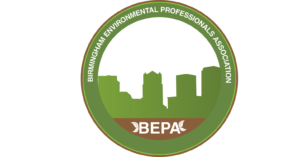 Birmingham, Alabama: Join us at the Birmingham Environmental Professionals Association informational breakfast September 4th, 2015 at the famous Nikki’s West starting at 7:00 AM. Join BEPA as Chris LeMay and Snapper Armstrong lead you through Stack Testing 101. Check back for slides from the event! Want to get more involved with BEPA? They meet twice per quarter at 7 am on Friday mornings at Niki’s West Restaurant in Birmingham. They send out an agenda email a week prior to meetings. Just RSVP to that email so they can provide a delicious Niki’s West breakfast for you. Topics have ranged from “In-Situ / Ex-Situ Sampling” (which resulted in a subcommittee forming to take the issues and requests for change to ADEM representatives who volunteered their time to discuss options with them and which resulted in a favorable change in policy), “Commercial Industrial Solid Waste Incinerator / National Emission Standards for Hazardous Air Pollutants”, “Updates from State regulators meeting in DC”, “Samford University’s Master of Science in Environmental Management (MSEM) program”, “Freshwater Land Trust Presentation: ‘Removal of Historic Dam from Turkey Creek’ ”, and “New Directions in Water Policy in Alabama” given by Bennett Bearden, Director of the Water Policy and Law Institute at The University of Alabama. We also have open forum meetings where members will provide updates on relevant topics, health and safety policy updates, regulatory updates, upcoming conferences, and more!